In which G.M. 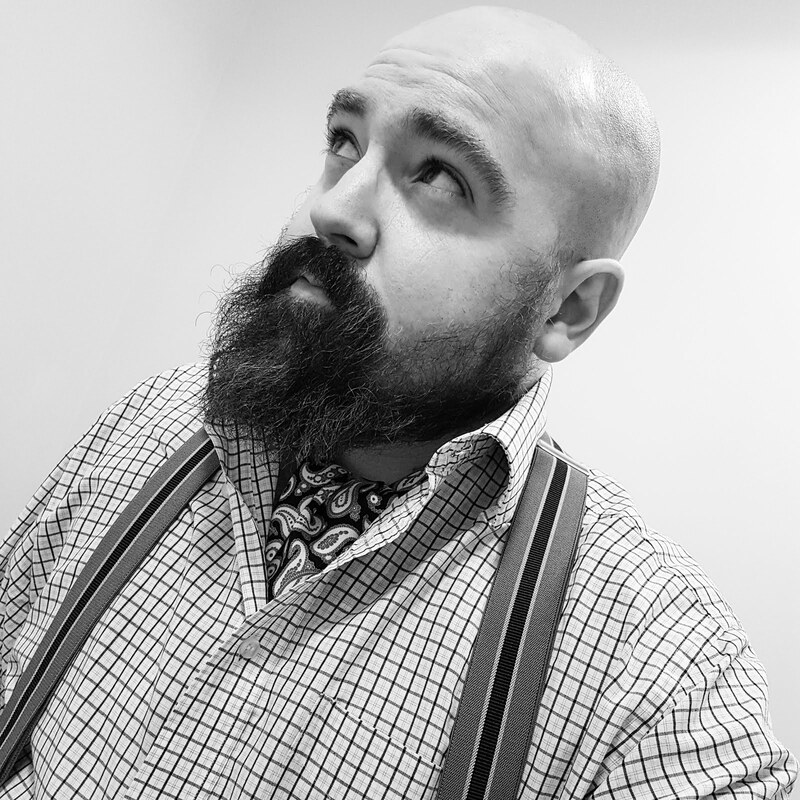 Norton reveals his ruse to wearing tweed when it's warm. With Spring now here, it really is time to consider what to wear when the sun decides to show its face. I must admit to being something of a forward planner so such thoughts have been whirling around my over-active, confuddled and extremely warped mind for quite a few months. 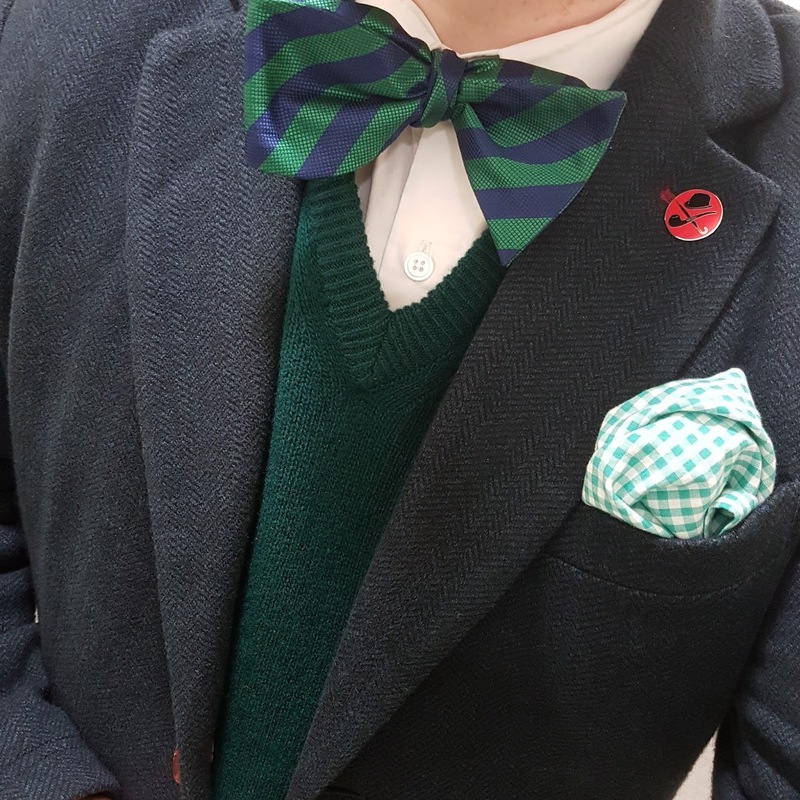 You see, I simply despise putting away the old tweeds. That’s where the fake tweed jacket comes into play. Now, fear not chumrades. I’m not about to encourage counterfeit and illegal wares and risk the good Norton name. 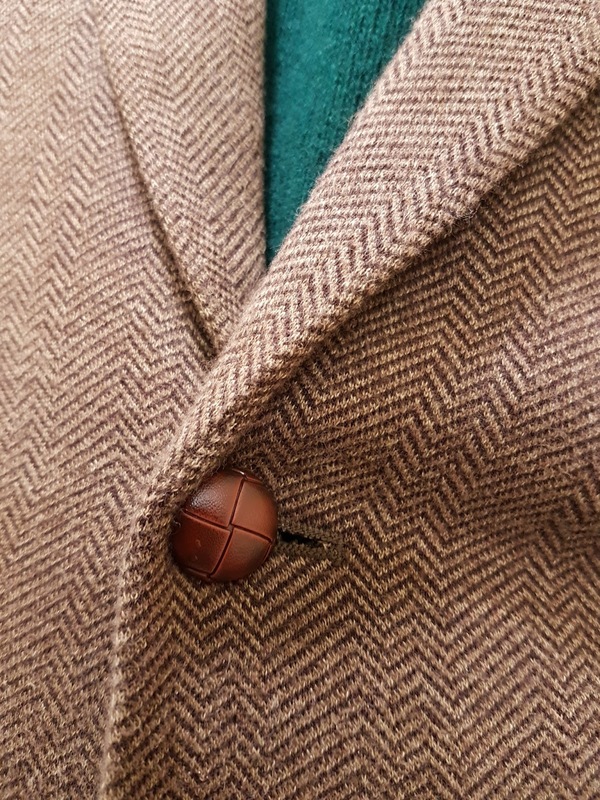 I’m referring to a cotton jacket that looks like tweed. Lighter, cooler and unlined. At this point, I can almost hear mouths dropping open and teaspoons dropping in shock that such items exist. Well, yes they do. In the last few weeks, I’ve been trawling Messrs E&Bay in search of such items. 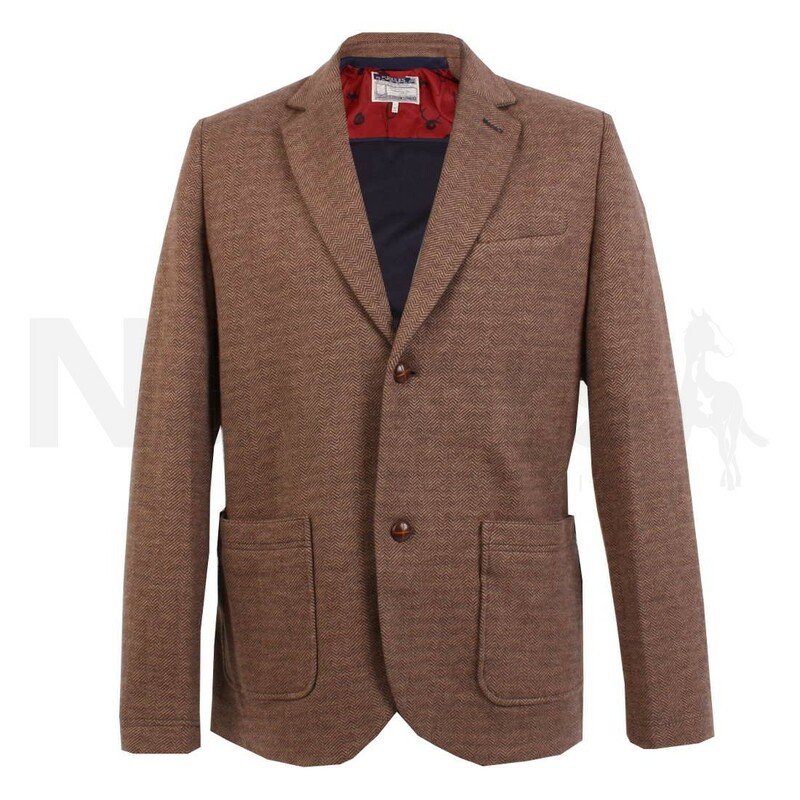 I came across a delightful brown herringbone style Joules Clothing blazer, with leather buttons and patch pockets. 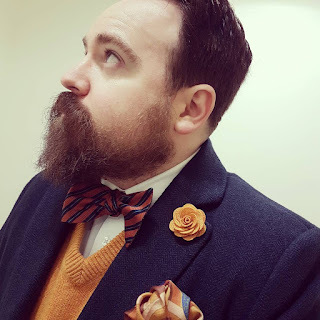 Now, for one jacket to sport either leather buttons or patch pockets and I’m excited, but to combine both features onto one jacket and quite frankly, I’m reaching for a bucket to catch all the drool that’s about to drop. Using my honed eBay bidding tactics, I successfully purchased the said jacket for £35. Then things got exciting as a week or so later and a blue version of the same jacket also appeared on the online flea market. Once again, I somehow managed to evade any late attempts by rival bidders and secured my second Joules cotton jacket. Marvellous. Both jackets are jolly delightful. My only slight peeve is when the jacket bunches up on the shoulders when I perform a few arm movements. It’s more noticeable on the light brown jacket than the navy version. Other than that, top hole! Two very snazzy jackets! 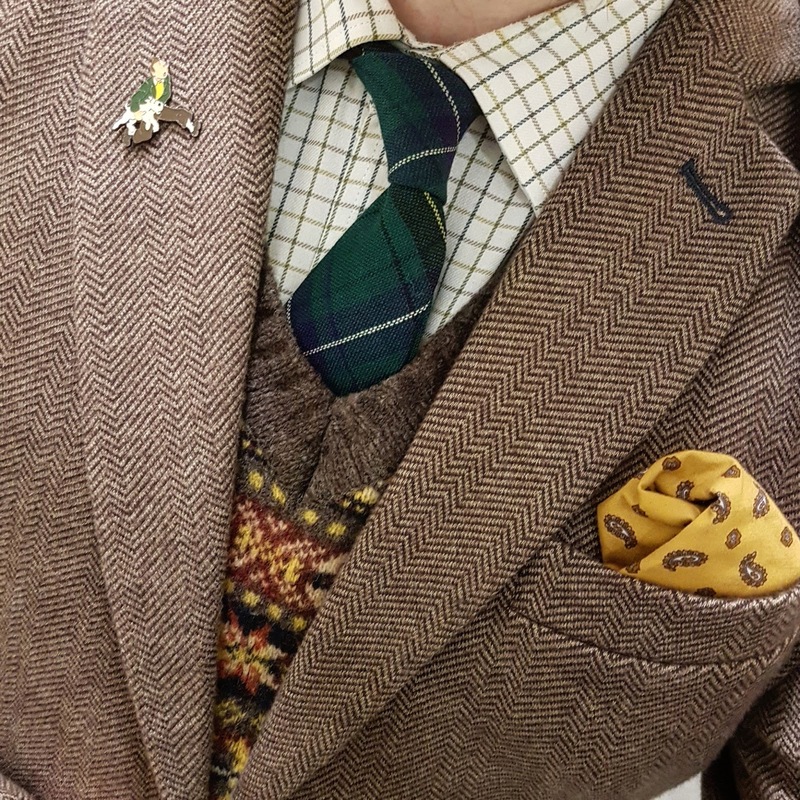 I too have a fake tweed jacket that's perfect for Spring and Autumn. Tweed's too good to restrict to winter! I second Sarah, tweed is too good for winter alone.